Beautiful condo overlooking Logan Martin Lake! So many options...Vacation home - Permanent home - Rental property (it pays for itself!) On the fourth floor so it has great views of the lake and pool. 3 bedroom unit with 2 full baths. Great room and kitchen flow together so well, wonderful open floor plan. 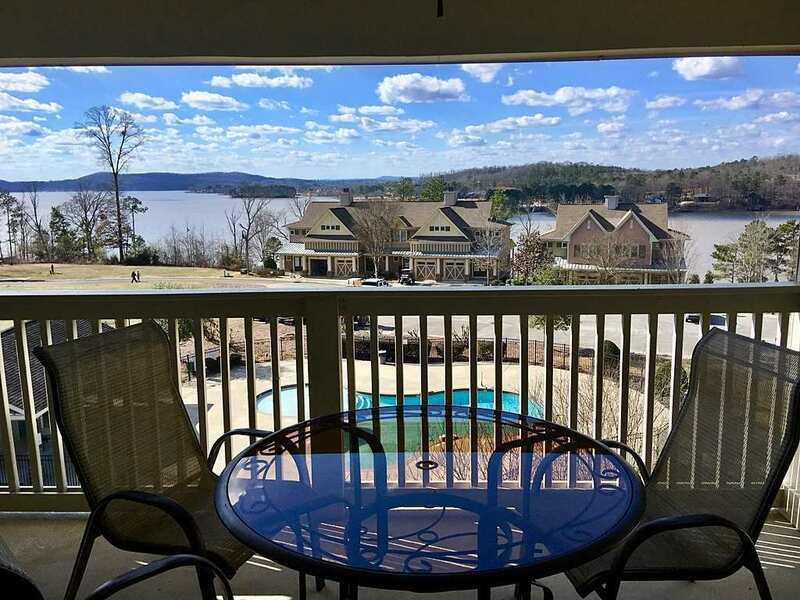 Master has walk-in closet and view of the lake! Master bath has separate tub and shower. Two guest bedrooms, one a bunk room, and full bath. Kitchen has granite counters, stainless steel appliances and plenty of counter and cabinet space. Large balcony for relaxing and looking out over the lake. Beautifully furnished and you can buy it all! Community Pool and boat dock with your own slip. Walking trails, playground, beach and much more Come see this one today!